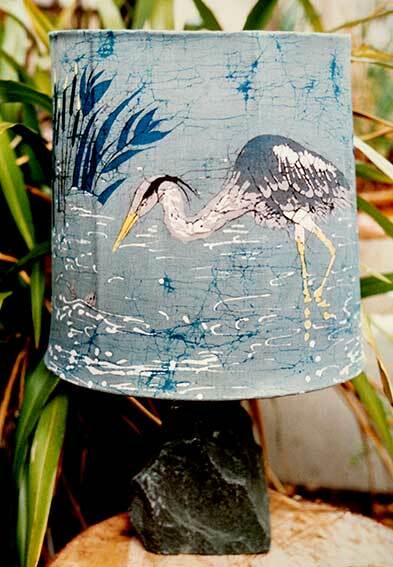 This 'Herons' lampshade design which I have repeated many times is, always popular as the soft grey/blues fit well into many interior design colour schemes. 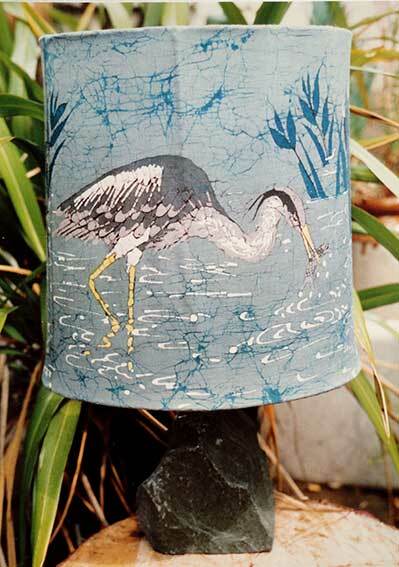 On one side, a heron is poised ready to catch his fish, on the other, a heron has a fish in his beak. The ripples and crackles give the water a really fluid feel.